Trust your home to an electric supplier offering flexible plan options and simple, innovative tools to take the guesswork out of your electric bill. We strive to earn the business of our more than 4 million home and business customers by working hard for them day after day. Don't worry about our size. We may be one of the biggest residential energy retailers in North America, but we provide big-business know-how without sacrificing the support you'd expect from a small-town energy provider. Consider us as much a part of the neighborhood as the Community Center. Don't ignore a rise in your energy bill. 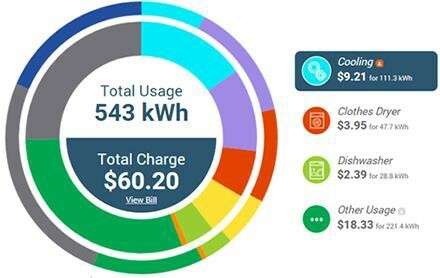 Understand your energy usage like never before with our insights, which will help you make adept decisions, reduce your energy use, and save money. Our simple tools will help you track, understand and manage the electricity you use. Find The Right Electricity Rate in Missouri City, Texas! In the Show Me City, there are so many things to do besides thinking about your electricity, like golfing with friends! We want to show the Show Me City why we're the best choice to power your home. Come take a look at our great rates, exceptional customer support and reliable service. Direct Energy eases your mind during the hot and oppressive Missouri City summers. We have the products and prices that are right for you because you shouldn't have to stress about your electricity bill. 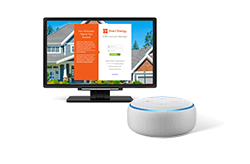 There is a wide variety of plans available to you, from the Echo Dot plan to a fixed rate, where you can lock in a stable price for a specified length of time. Spend your time playing on the "sprayground" at Hunters Glen Park instead of worrying about your electric bill. Live Brighter 12:Lock in a one-year fixed electricity rate that won't break the bank or change with the seasons! Competitive electricity rates and superior customer service are only a couple of the many perks that come with all of our plans. We make managing your plan simple. Once you've found your perfect plan, you can use our Online Account Manager to view your bills, check out exclusive offers, and track your usage. We provide the knowledge and tools to help you make better energy decisions and save money every month on your electricity bills. We want you to reduce your energy consumption. Yes, we mean it! The environment, and your wallet, will thank you. Let Direct Energy show you ways to reduce your energy usage that are simple enough to incorporate into your daily life. Are you on a mission to Live Brighter? Guess what! We're committed to helping you do just that. We offer our customers in the Centerpoint area the tools and resources they need. As a Direct Energy customer, you'll get access to a custom suite of energy insight tools, Direct Your Energy, to help you interpret and manage your home's electricity costs. With our easy to use insights tool, you will receive a high-level view of your energy performance, predictive weather overlay, and more! Considerable resources are at your disposal! Just head to our Learning Center or blog to learn more about energy use. Everything from energy savings and home improvement tips to safety tips, Direct Energy is dedicated to helping you understand and manage your energy use and take care of your home. Are you switching Missouri City electricity providers? Or maybe you need new service? Direct Energy makes it a stress-free process, so if you've been researching TXU Energy, or other electricity providers such as Reliant Energy or Green Mountain Energy, look no further. Find a plan that can satisfy your needs, whether you want the stability of a fixed rate or the freedom of a connected home bundle. 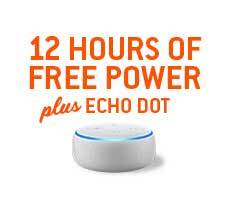 The same electricity plan is not the best for everyone, but all customers have a few things they can count on - like an active social media community and auto pay! Use our educational resources and energy insights tools, Direct Your Energy, to increase your energy efficiency and save on your monthly bills. We pride ourselves on our superb customer service. Direct Energy and exceptional customer support go hand-in-hand, and that support is always available when you need it most. We have everything you need to live smarter. 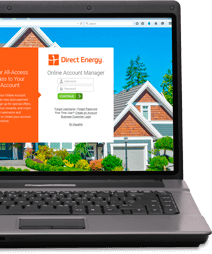 Get started with Direct Energy today.